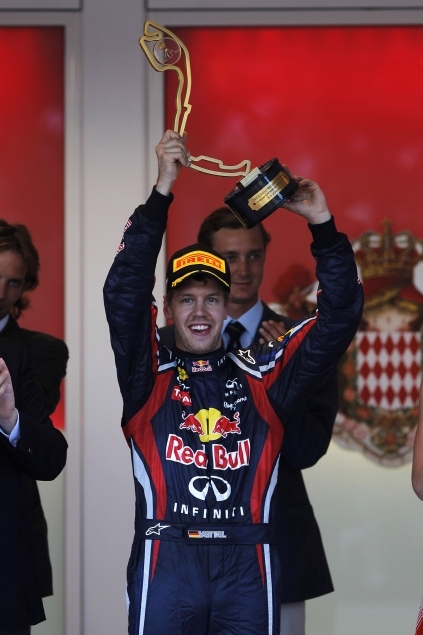 The Grand Prix of Monaco is the one race that all the drivers dream of winning. This year's winner is the German driver Sebastian Vettel. Monaco GP is the slowest and the hardest of the World Formula 1 Championship. To win in Monaco is diffcult because even a small error in the streets of the principality is costly. The streets themselves are Monaco Grand Prix's major attraction, thrilling spectators with an up-close view of screaming engines as racers take on the twisting 78-lap circuit for all they are worth and making it the most challenging race in the annual Formula 1 circuit. The first Monaco Grand Prix was won by Englishman William Grover-Williams in 1929 and since then followed by others great names like Schumacher, Senna, Prost, Fangio, Graham Hill have claimed victory here Since then, average race speeds have risen from 50 miles (80 kilometres) per hour to almost 90 (142 kilometres) per hour. This year's winner, German driver Sebastian Vettel, won in 78 laps with a final time of 2:09:38. Coming in second was Spaniard Fernando Alonso, and in third was British champ Jensen Button.